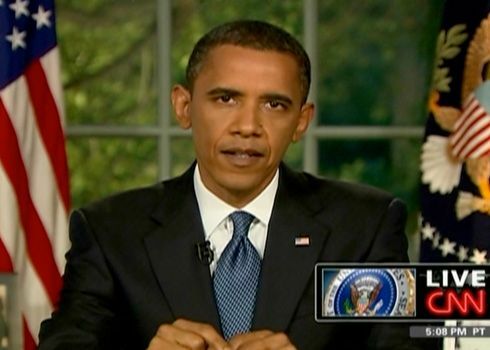 President Obama gave a speech on the BP Oil spill tonight. While I heard some good things, the end of the speech however didn’t thrill me. 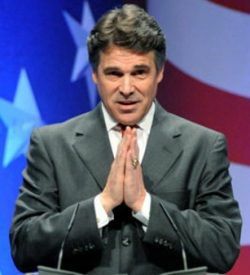 How many times do we need to say that praying won’t stop the leak or clean up the Gulf? I would like my elected officials to stick with facts and reason to deal with troubling issues. Praying doesn’t do anything to solve problems. This entry was posted in Myths, Politics and tagged BP Oil spill, god, Gulf of Mexico, Oval Office speech, prayer, President Obama on June 15, 2010 by Doug. A new survey says 21% of atheists believe in God? On Faith Panel | New Pew survey says 21% of atheists believe in God, 10% pray. What gives? It seems that according to a new Pew Forum on Religion & Public Life survey, 21% of American atheists believe in God or a universal spirit, 12% believe in heaven and 10% pray at least once a week. I followed the link to the report and sure enough that is what their survey says. Being that atheists make up approximately 10% of the population – the survey results are pretty troublesome. The Post posed the question to their “On Faith” panel for an explanation. That one out of five Americans who identify themselves as atheists also say that they believe in God or a “universal spirit” and that one out of ten pray at least once a week can lead to only one conclusion. These people don’t know that an atheist is, by definition, someone who does not believe in God or in the supernatural. To say that you’re an atheist who believes in God and prays is the equivalent of saying that you’re a vegetarian who loves to scarf down barbecued ribs and T-bone steak. Or a Christian who rejects the teachings of the New Testament. Or a religiously observant Jew who also believes that Jesus was the Messiah. Or a Muslim who believes that Jesus was God. I think that the explanation for these seemingly contradictory findings lies in a phenomenon I discuss at length in my recent book, The Age of American Unreason . Americans as a people have become supremely ignorant about and indifferent to the specific meanings of words, and they are equally confused about important historical distinctions.This is a serious cultural disease throughout our nation. A majority of Americans, in what is supposedly the most religious nation in the developed world, cannot name the four Gospels or identify Genesis as the first book of the Bible. Why shouldn’t some American atheists be as ignorant about the meaning of atheism as many religious Americans are about religion? This entry was posted in Definitions, Groups, Media, Myths and tagged atheism, god, Pew Forum on Religion & Public Life, prayer, Washington Post on July 4, 2008 by Doug. Wonder believes Lennon’s atheism led to his murder in 1980? I have wanted to avoid debunking Internet rumors and myths because it is a hard job to do but one I came across this past weekend hit close to home. I felt I needed to say something. This entry was posted in Media, Myths and tagged atheism, Beatles, demons, god, Imagine, John Lennon, religion on December 6, 2005 by Doug. Morning Edition, November 21, 2005 · I believe that there is no God. I’m beyond Atheism. Atheism is not believing in God. Not believing in God is easy — you can’t prove a negative, so there’s no work to do. I have love, blue skies, rainbows and Hallmark cards, and that has to be enough. It has to be enough, but it’s everything in the world and everything in the world is plenty for me. It seems just rude to beg the invisible for more. Just the love of my family that raised me and the family I’m raising now is enough that I don’t need heaven. I won the huge genetic lottery and I get joy every day. This entry was posted in Positive and tagged atheism, attitude, civil rights, god, Penn Jillette, secular humanism on November 21, 2005 by Doug.